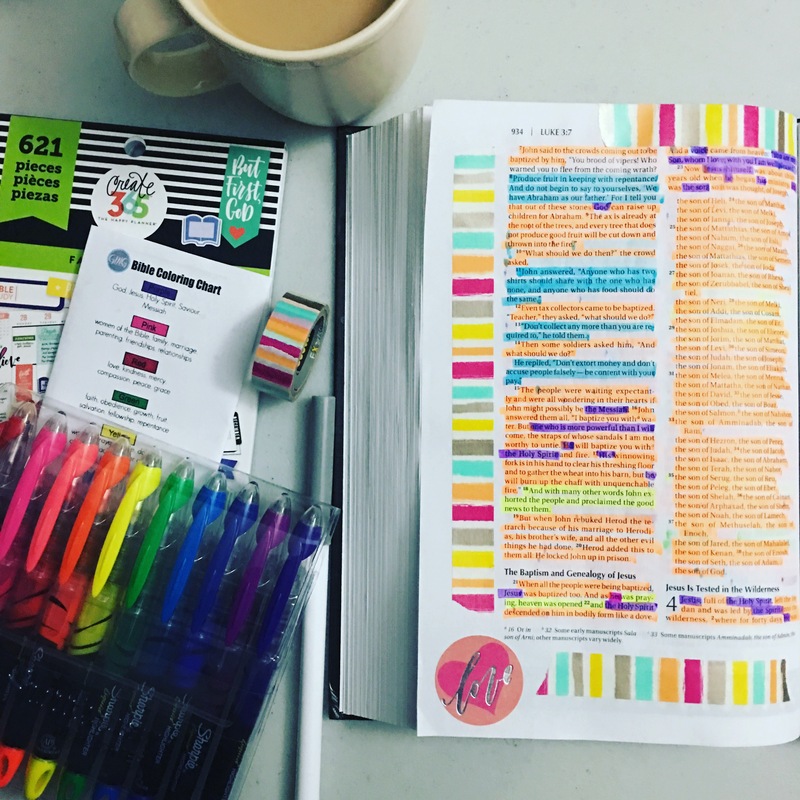 I created my own Bible highlighting code this year. 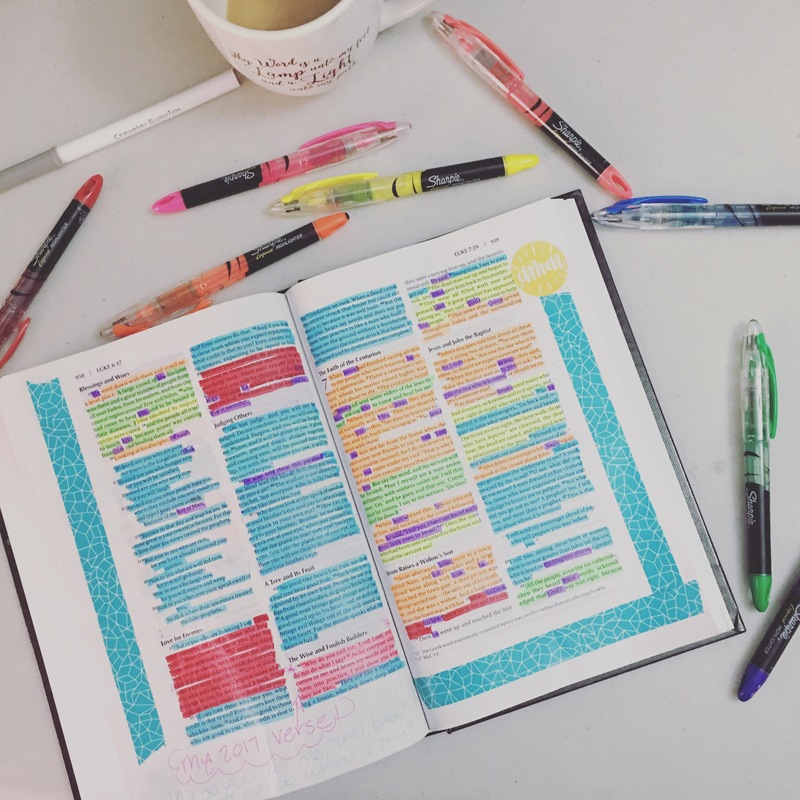 I use the Sharpie Liquid Highlighters but any coloring tool will work. My advice? 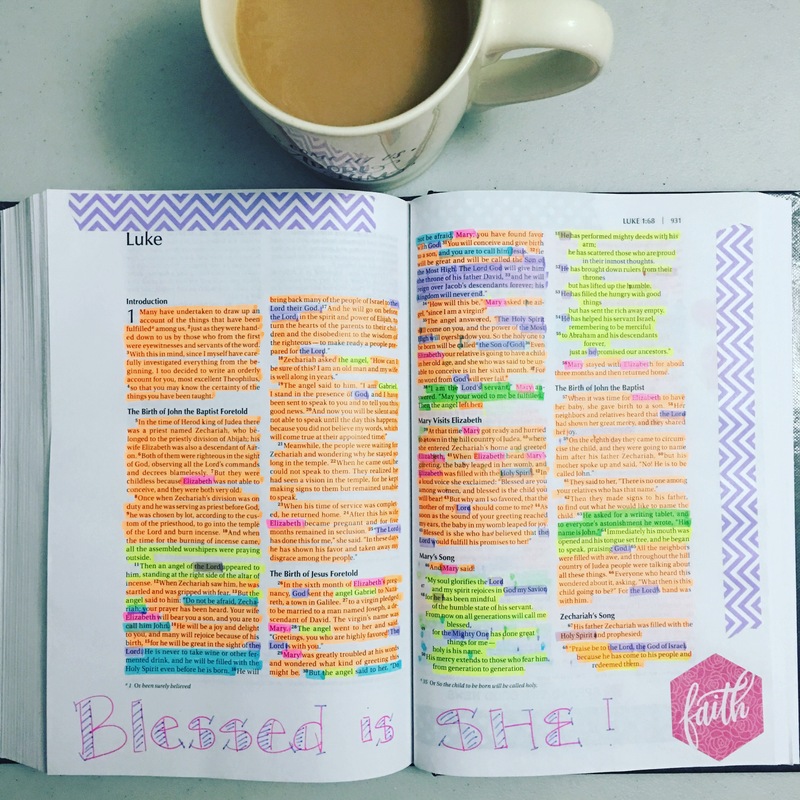 Print from the links and then color in the box with your colors of choice. I am also a fan of another coloring method. 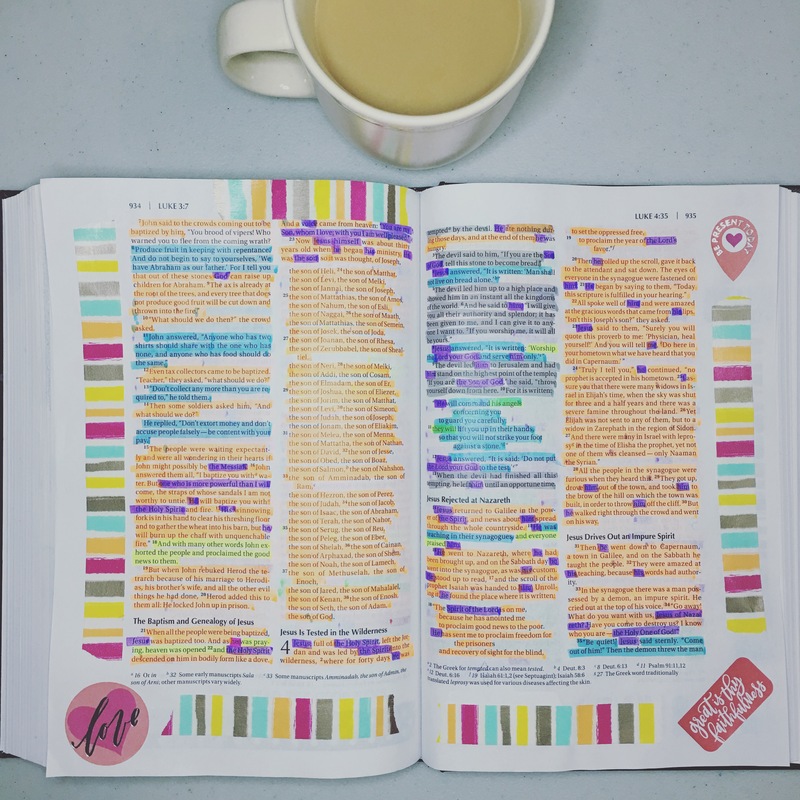 This Bible Coloring Chart comes from this blog post by Women Living Well. 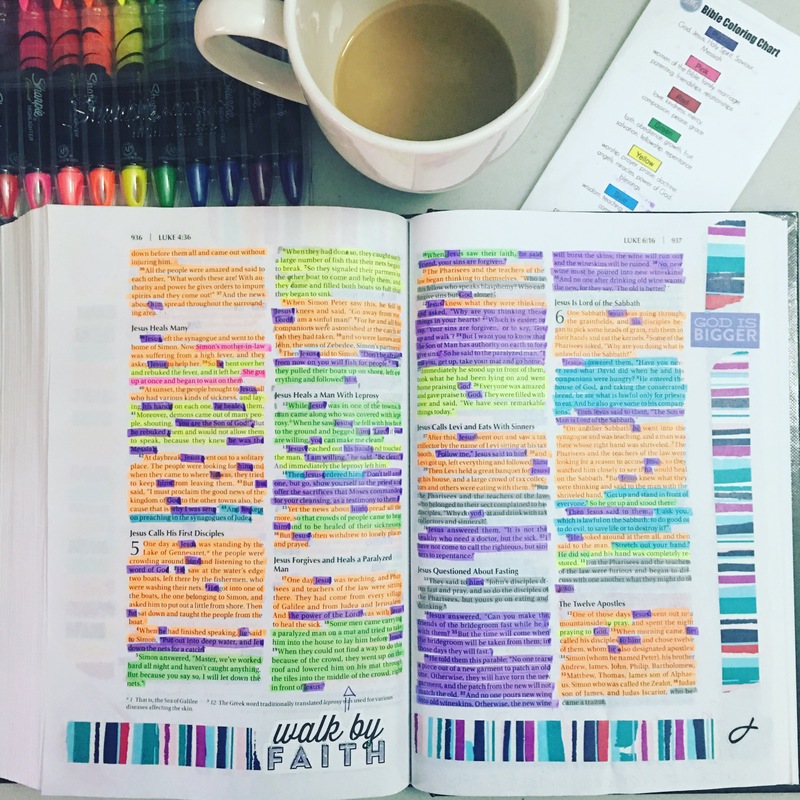 It’s what I use to highlight my Bible. 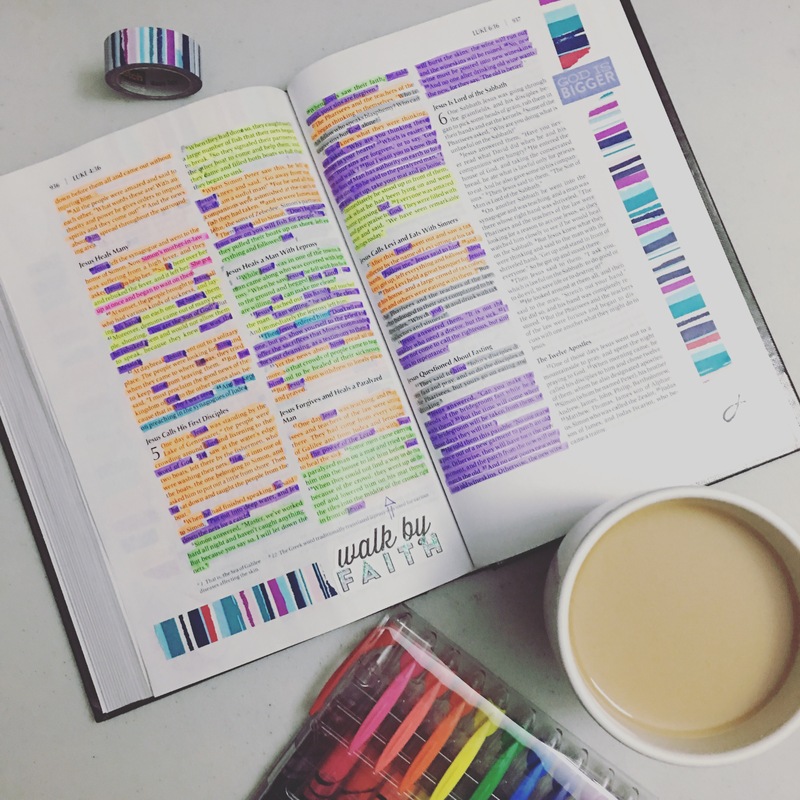 See my instagram page (www.instagram.com/laurajanebarber) to see my Bible coloring.